The Flamingo Motel is conveniently located close to shopping, restaurants and entertainment. They offer free shuttle service from Castlegar Airport and Bus Terminal. Amenities include high-speed cable internet connections, air-conditioning, fridge, microwave, queen-sized beds, in-room coffee and tea, 2 room kitchen suites, gazebo, barbecue, picnic area. Stroll through the scenic park-like setting which features a pond, gazebo and wishing well. Check out the antique plow, hand-operated well-water pump and old milk wagon. 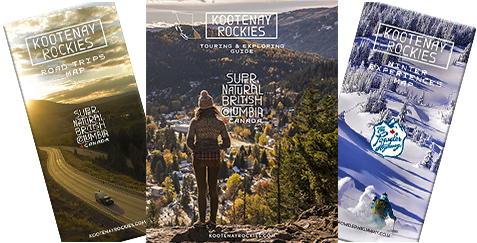 Situated at the confluence of the Kootenay and Columbia Rivers, Castlegar is home to an impressive network of trails, where hikers and cyclists enjoy the natural setting of the town and surrounding area. With a strong historical connection to the Doukhobors, a pacifist religious sect that fled Russia in the early 20th century, you may learn more about their culture at the Doukhobor Discovery Centre, Zuckerberg Island Heritage Park and the Castlegar Rail Station,which has been converted to a museum. Welcome to the Flamingo Motel.